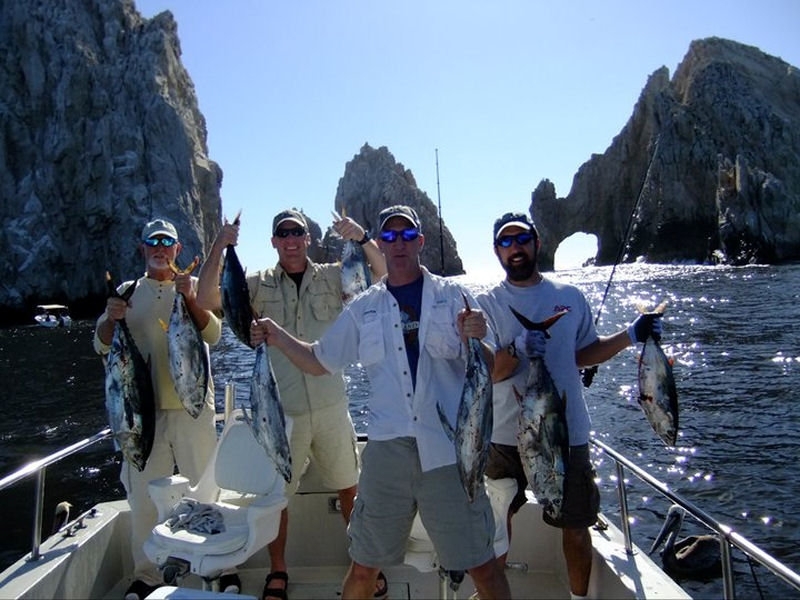 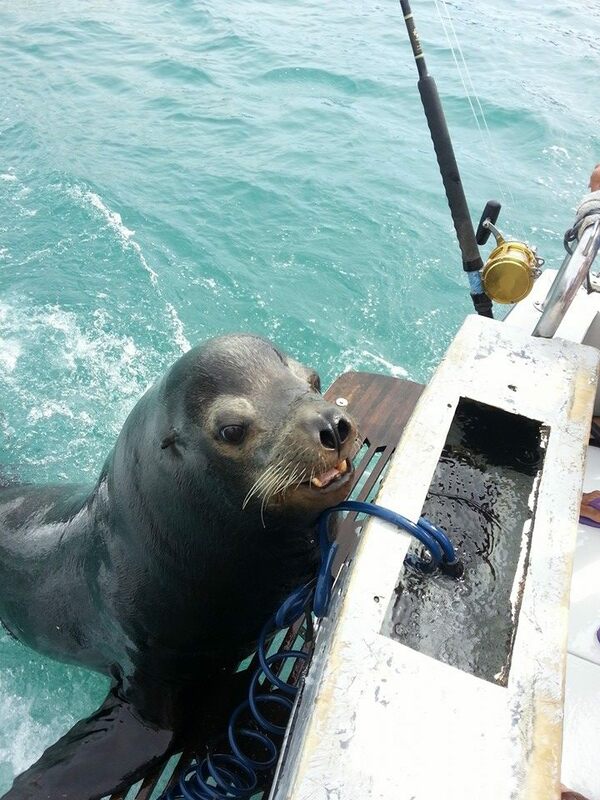 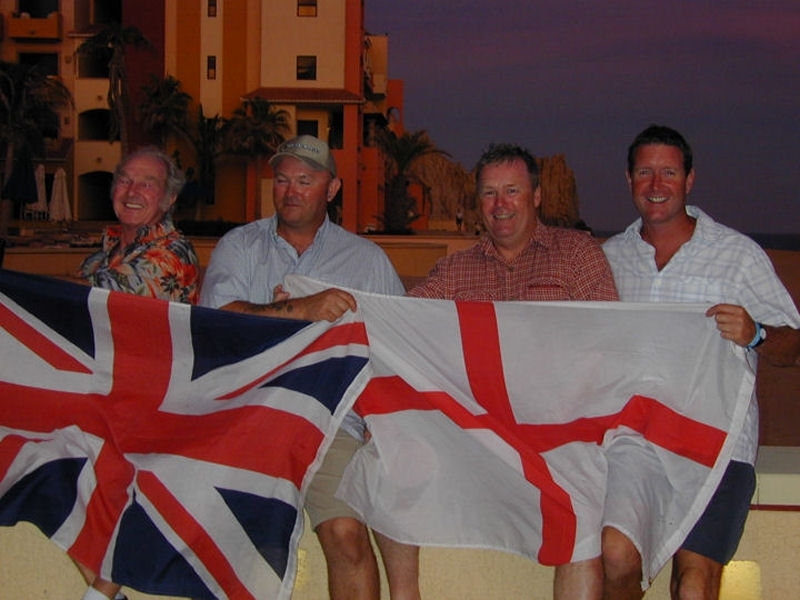 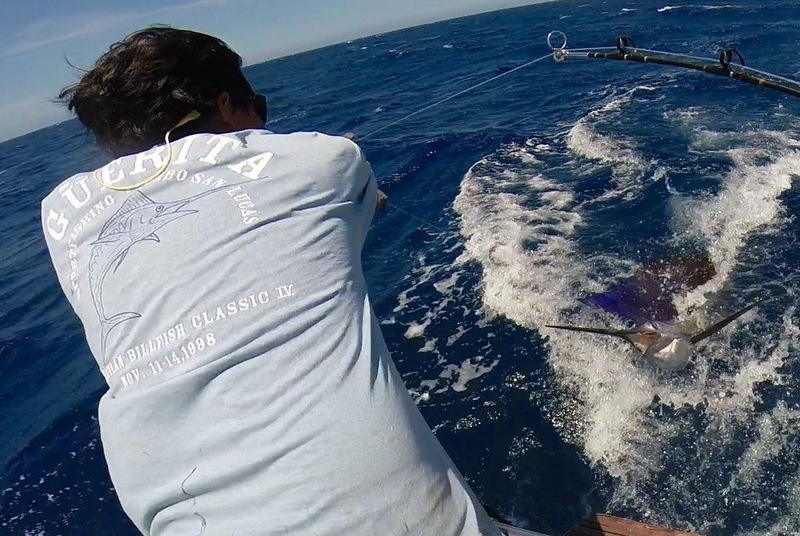 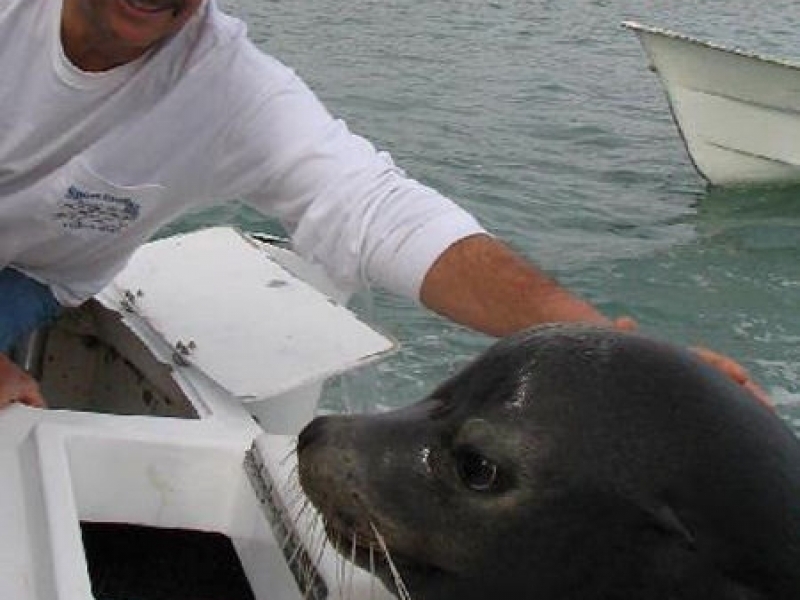 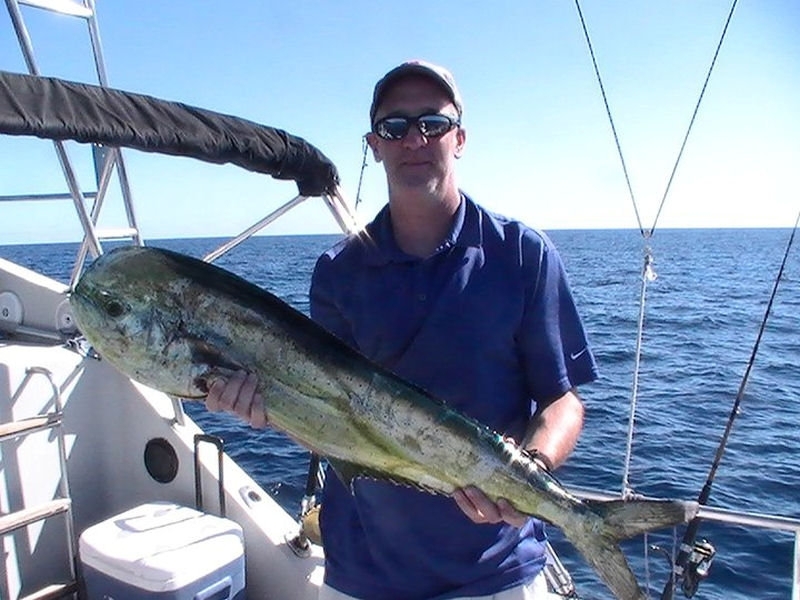 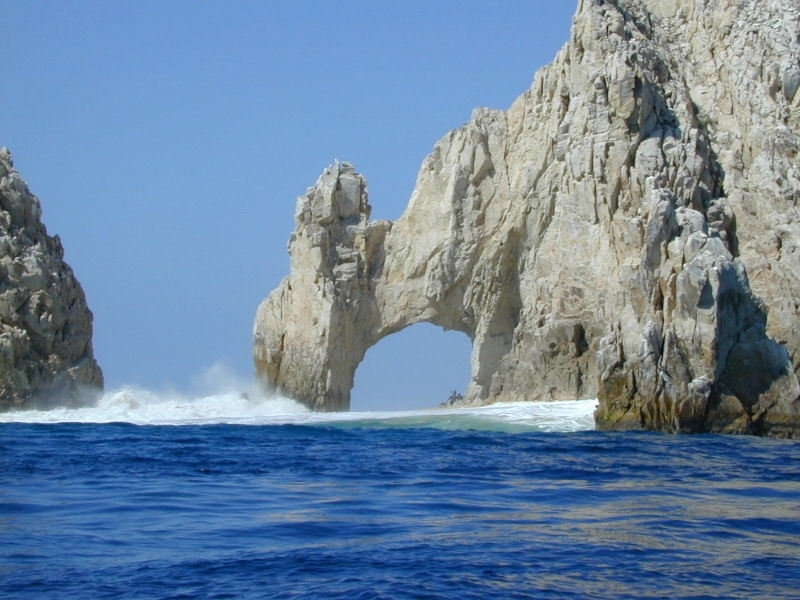 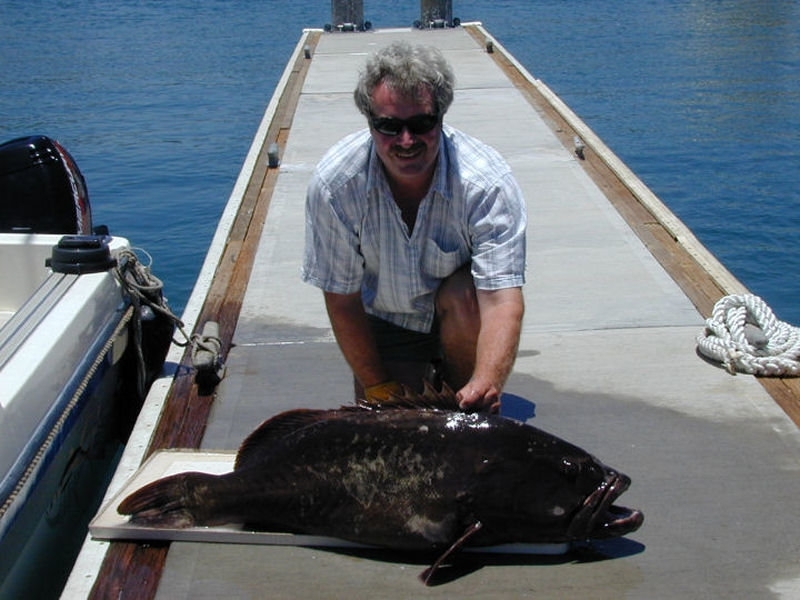 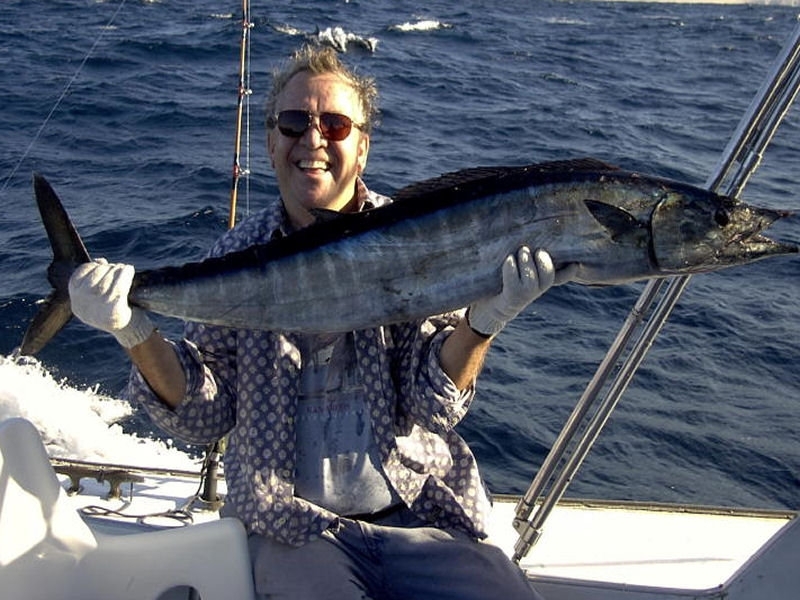 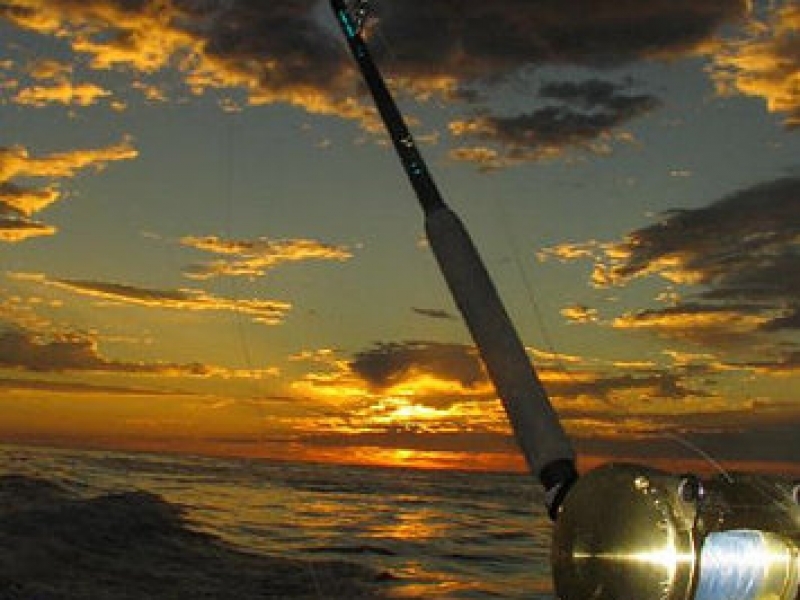 Have you always wondered what it would be like to go big game sport fishing in Cabo San Lucas? 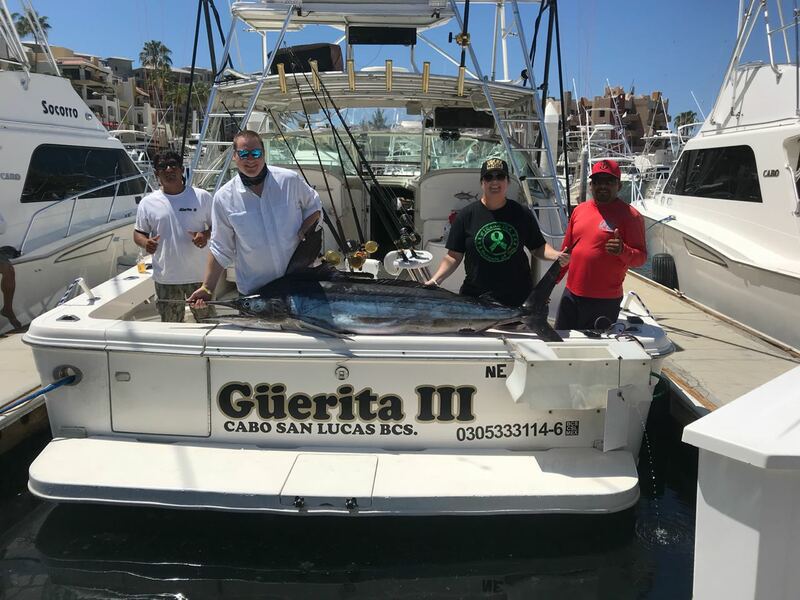 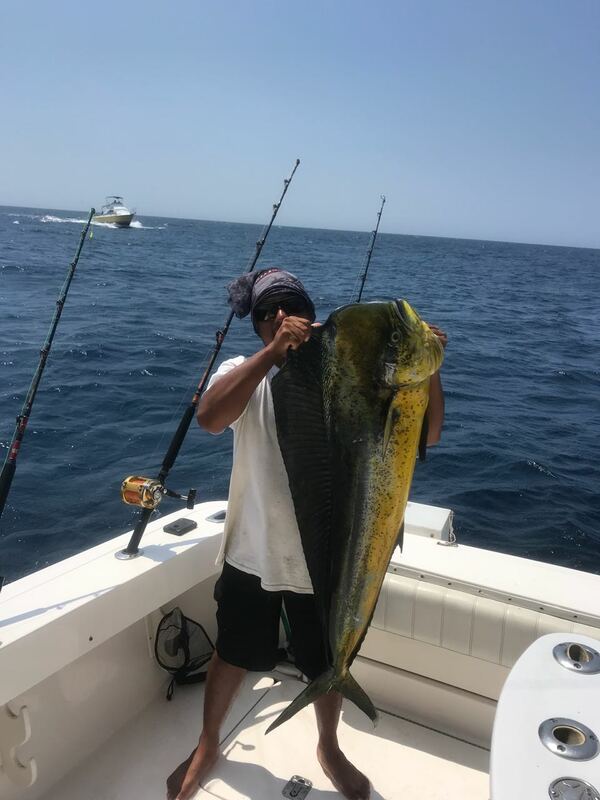 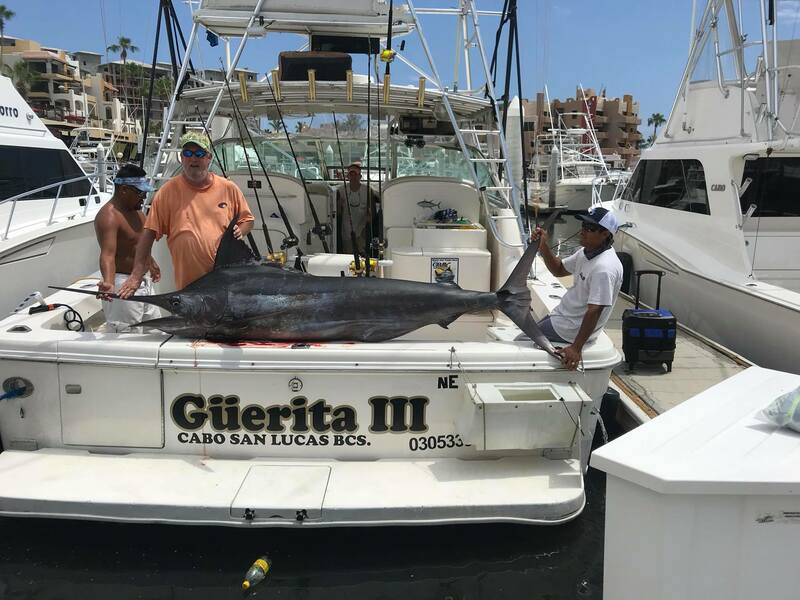 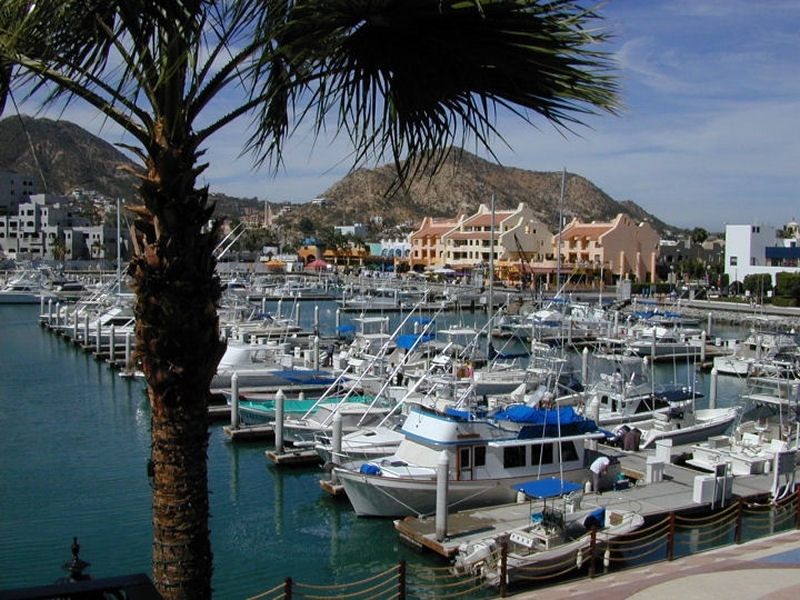 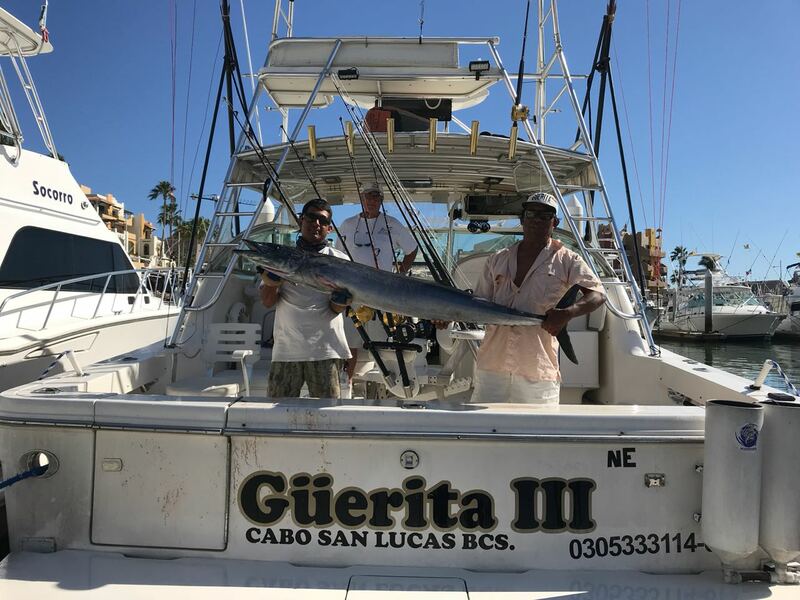 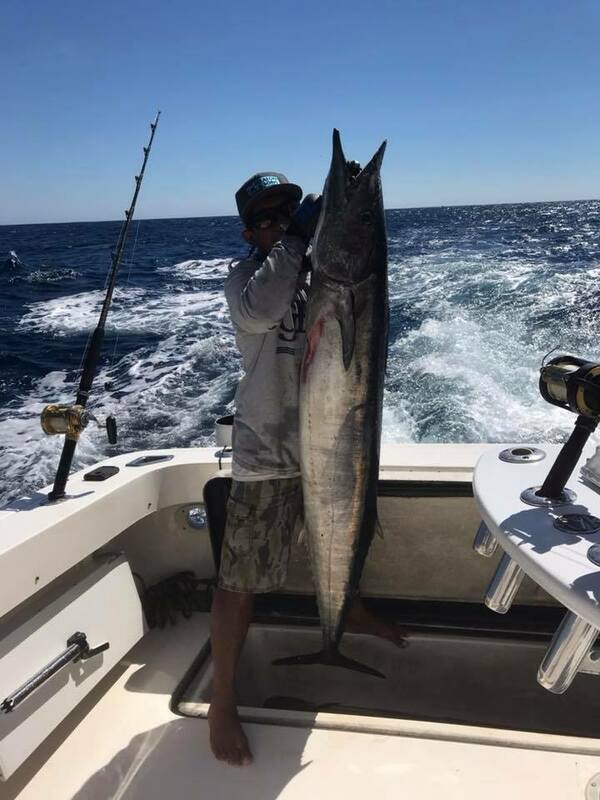 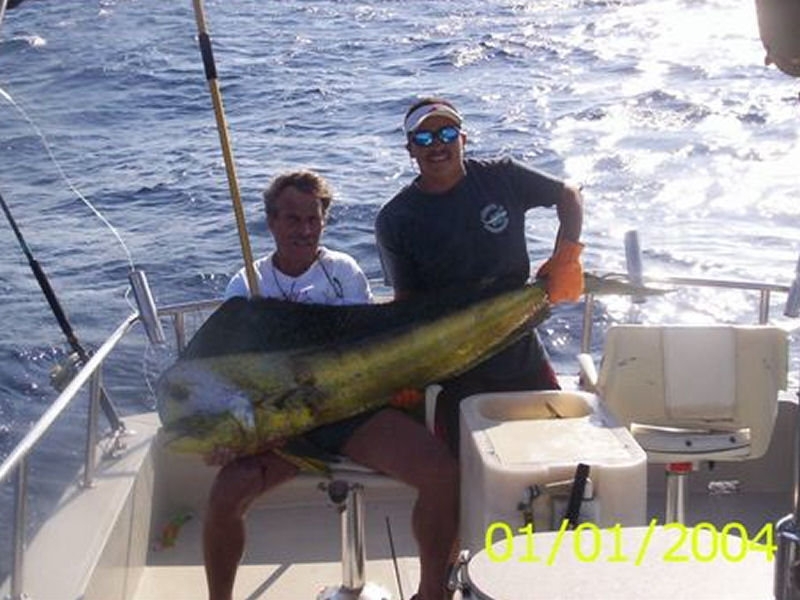 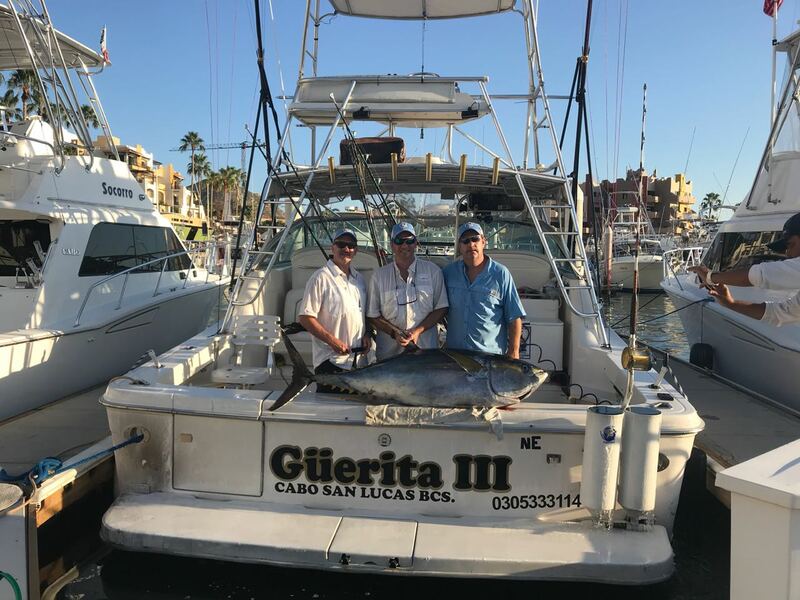 Since 1996 the experienced staff at Guerita Sportfishing has been taking casual and avid fishermen alike out on exciting fishing adventures in the Sea of Cortez as well as on the Pacific side of Los Cabos. 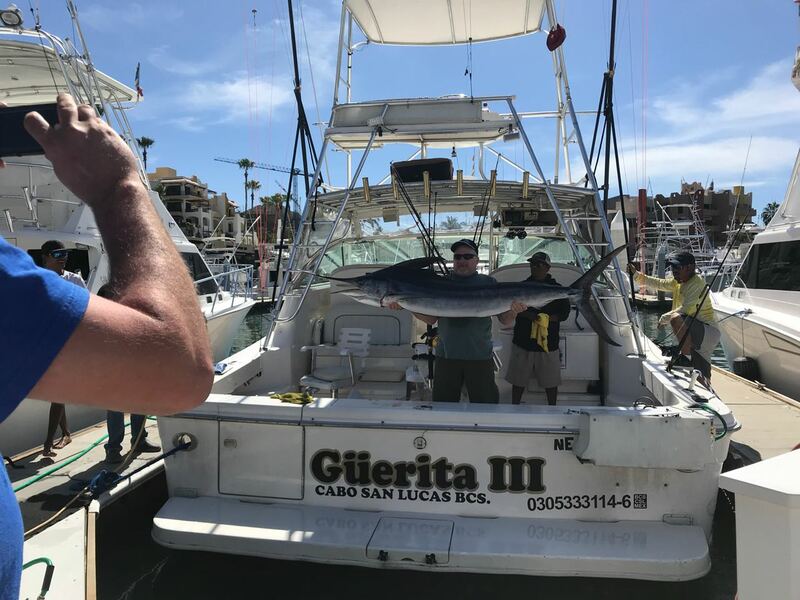 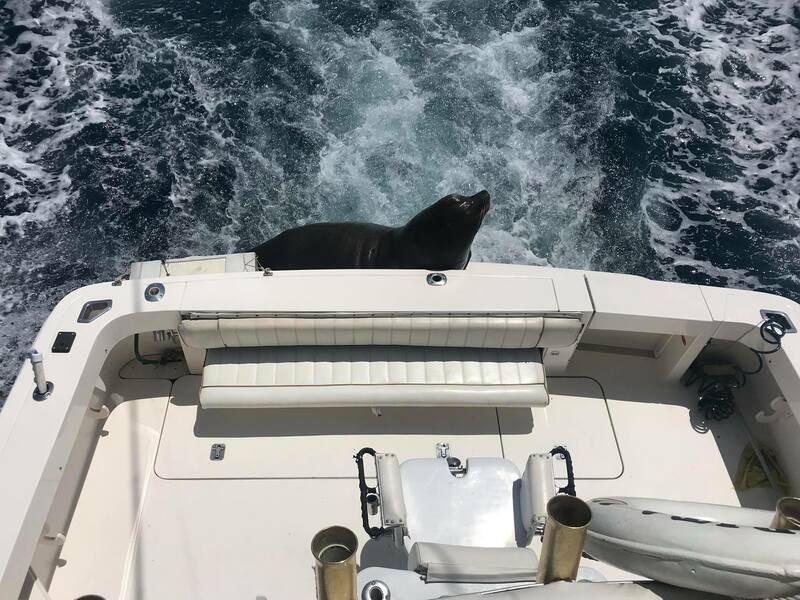 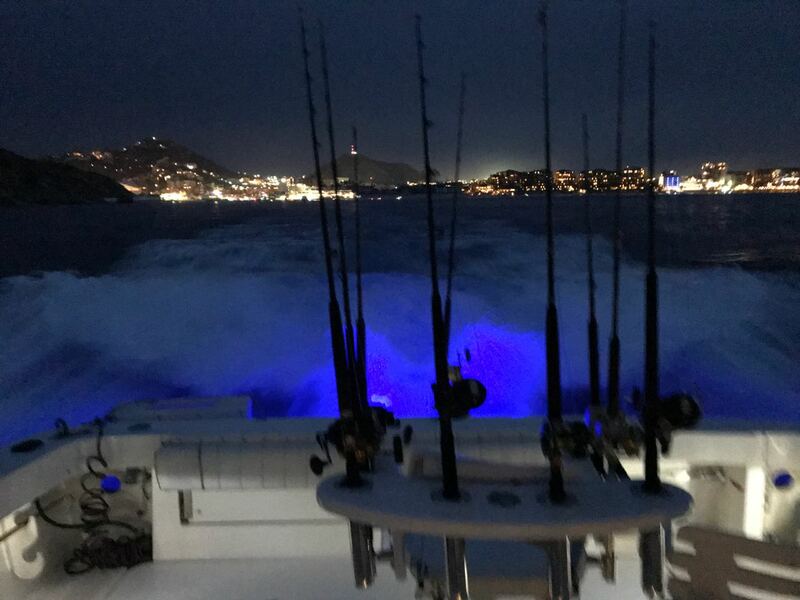 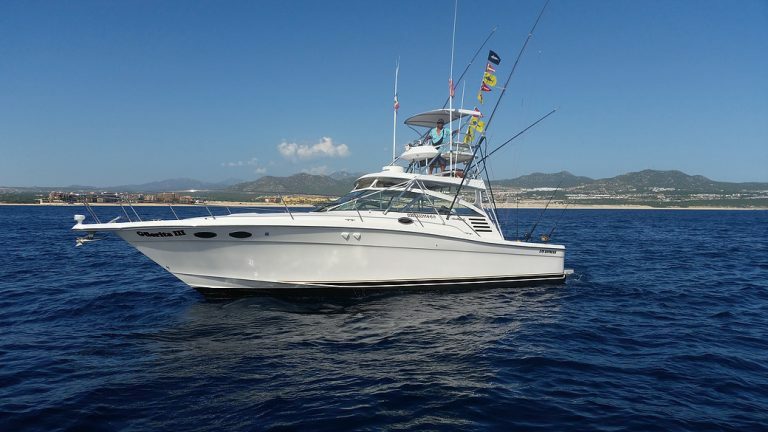 You can experience it for yourself when you hop on board Güerita III where you will enjoy all that a Cabo San Lucas deep sea sport fishing charter has to offer. 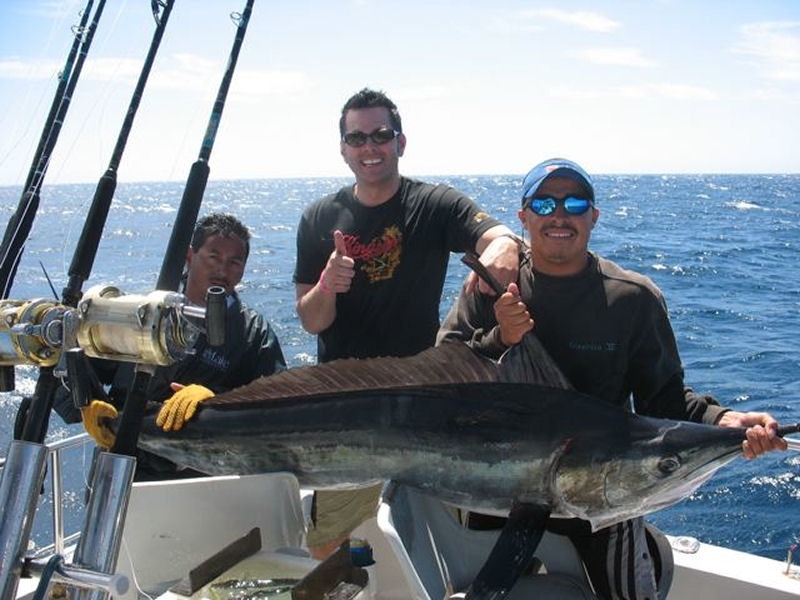 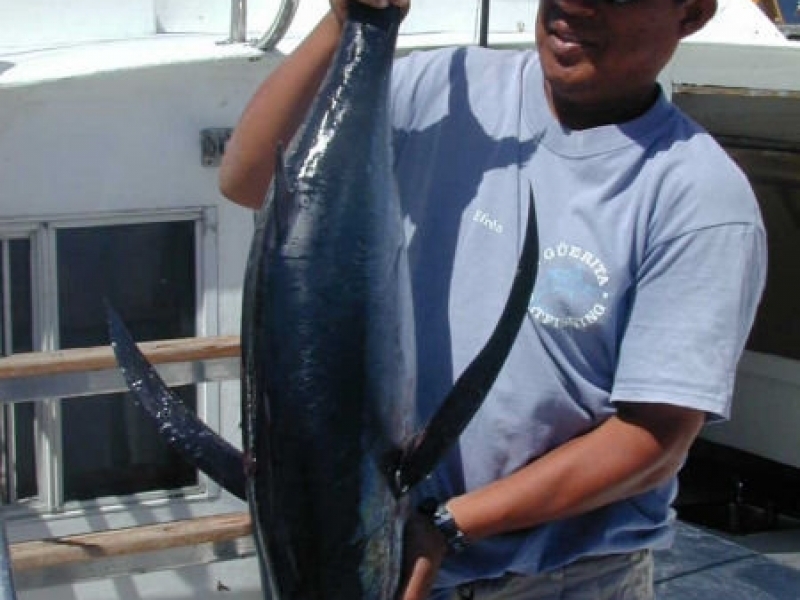 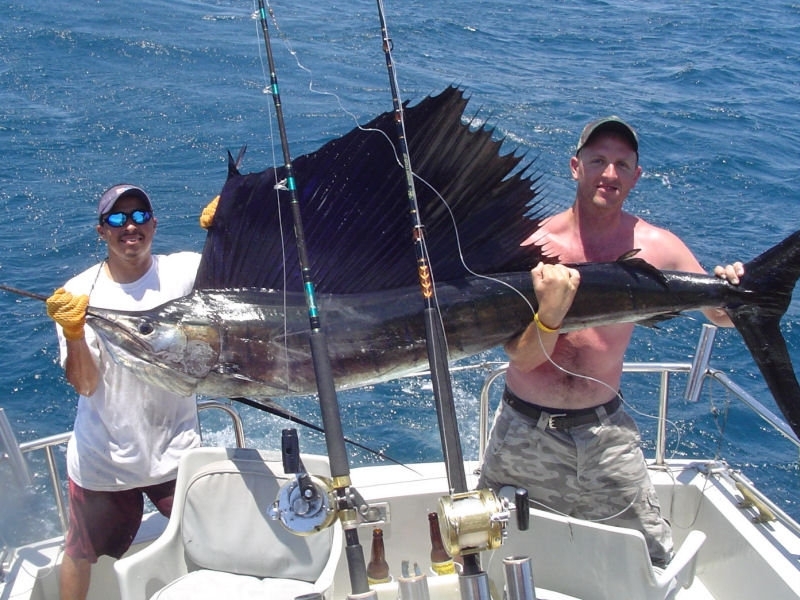 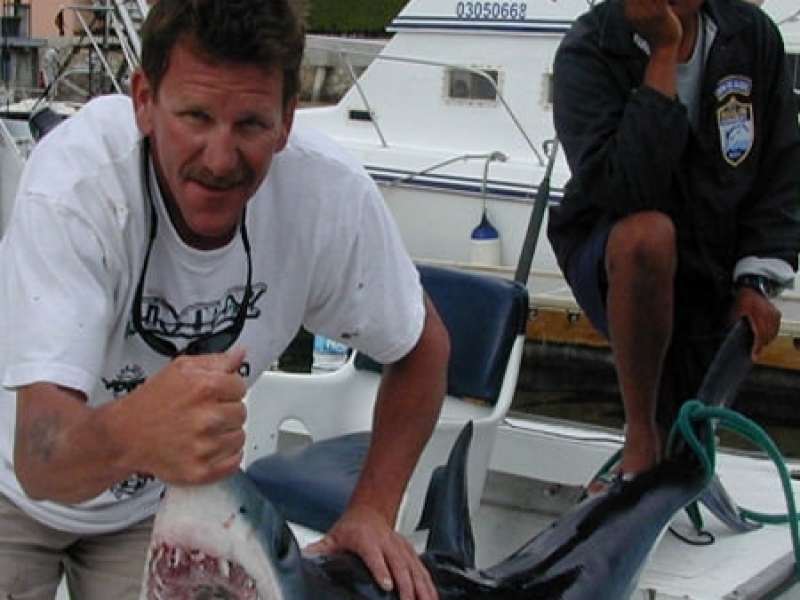 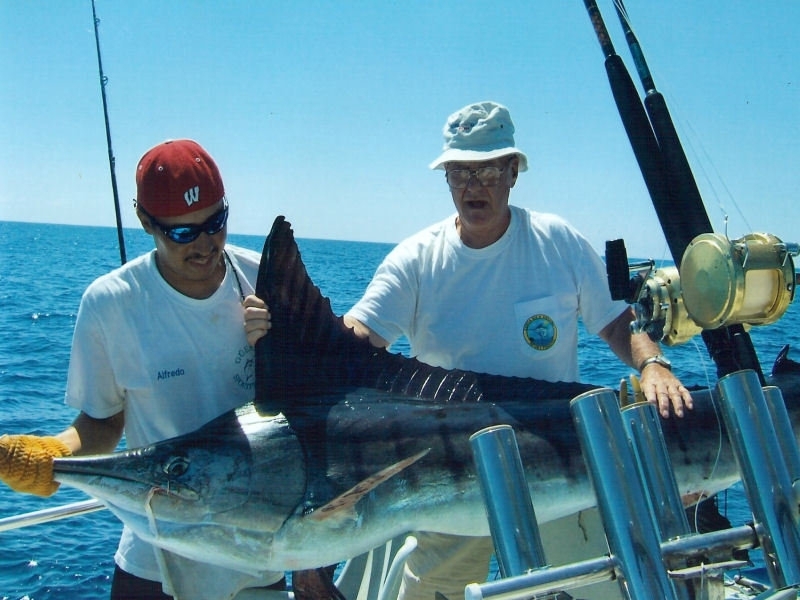 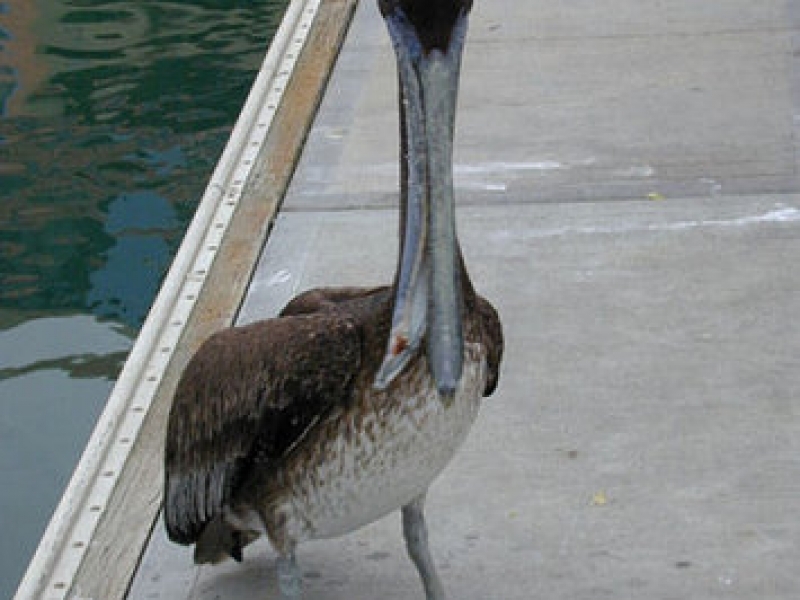 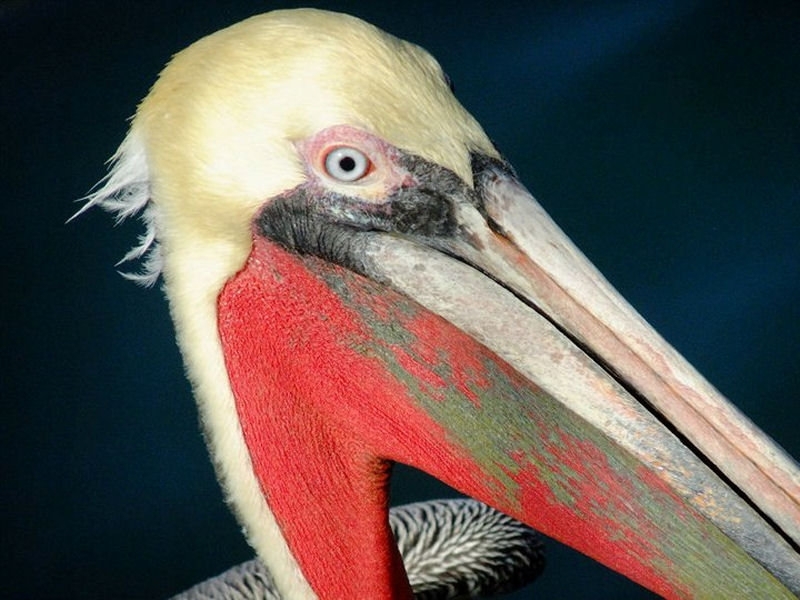 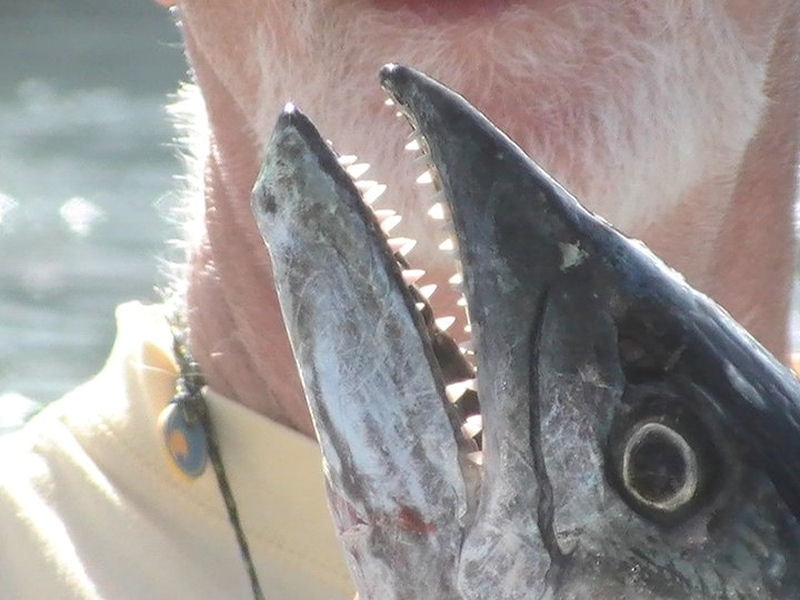 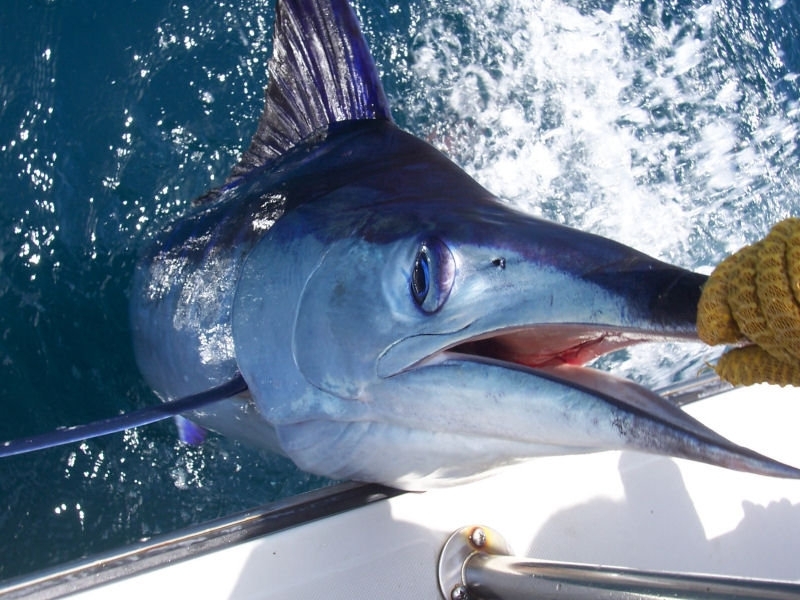 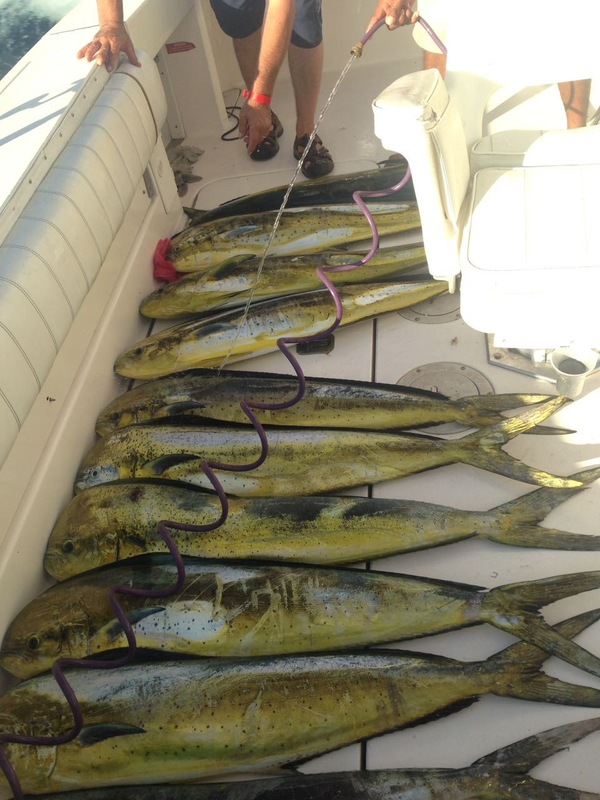 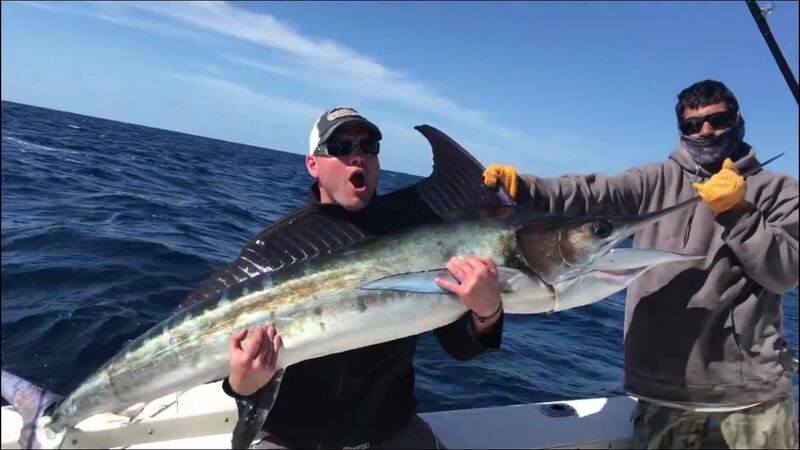 You can fish for marlin, dorado, tuna, wahoo, sailfish and more. 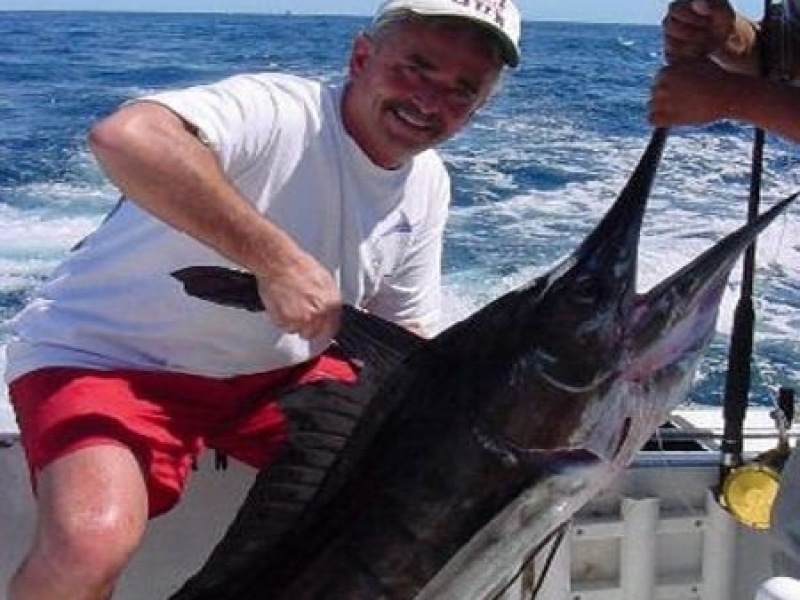 And, if you’re lucky, you might just walk away with a trophy fish you can take home and hang up for years to come. 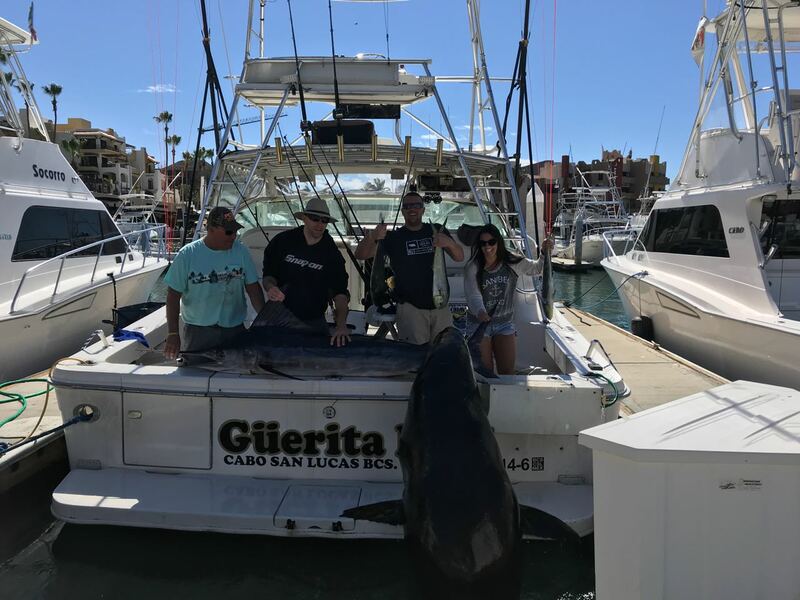 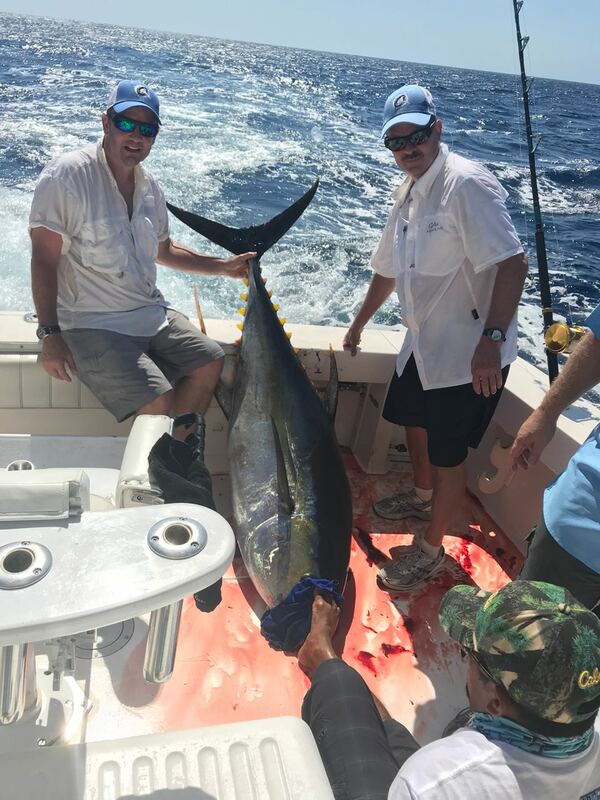 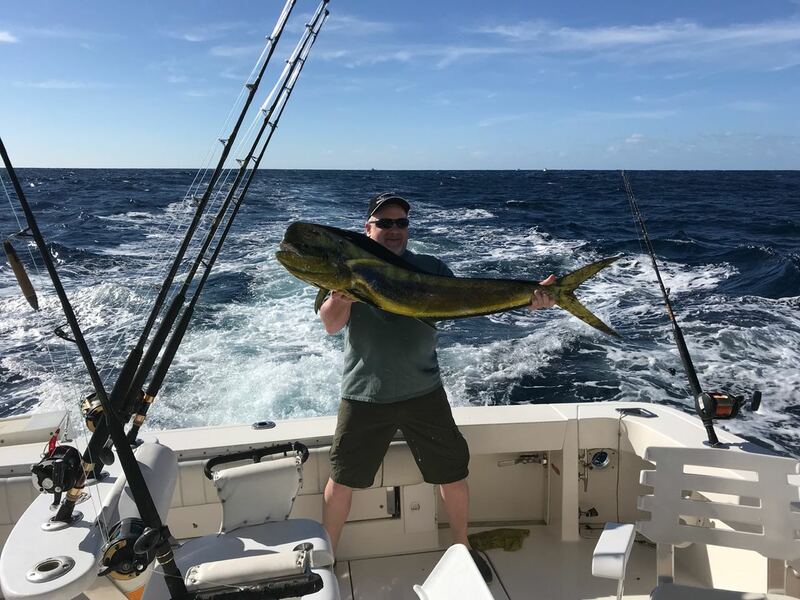 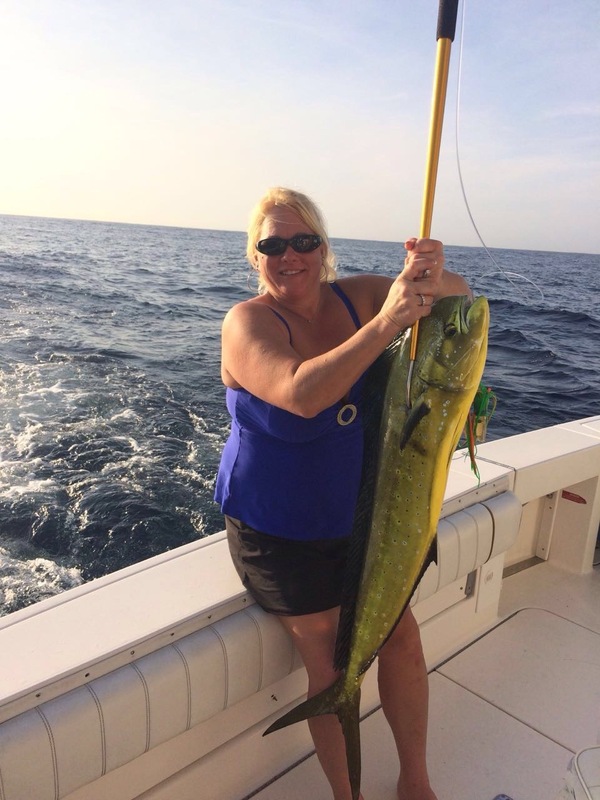 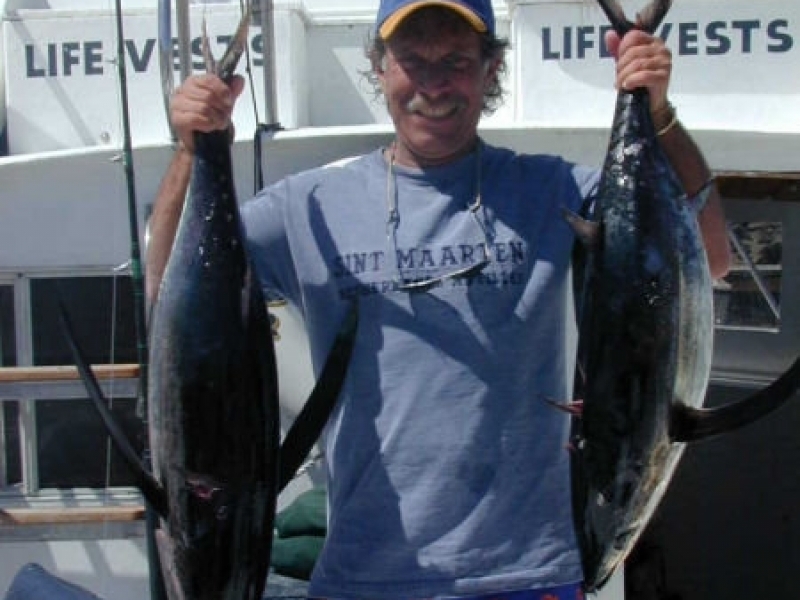 In the photos here, you can see all the fun fishermen have had on Guerita Sportfishing charters since first setting up shop in 1996. 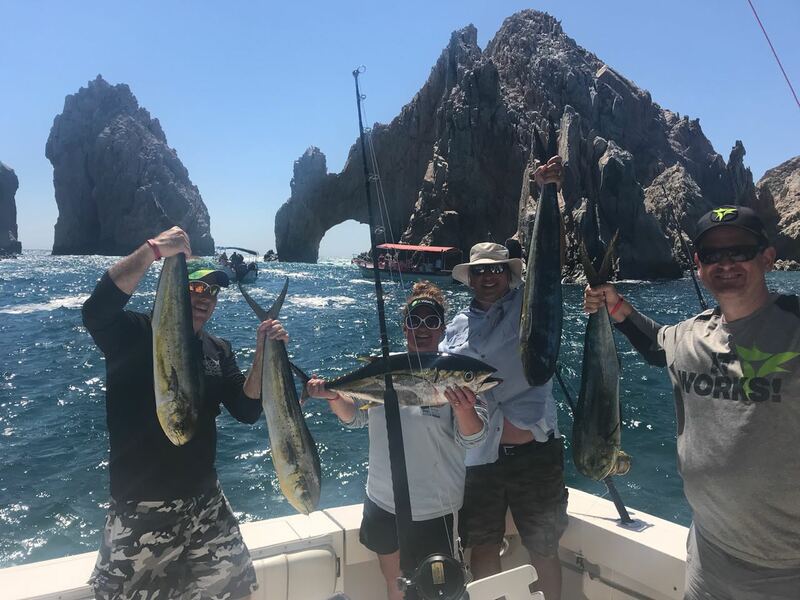 Like them, you can reserve either a half day or a full day of fishing on an eight-passenger Cabo San Lucas deep sea fishing charter. 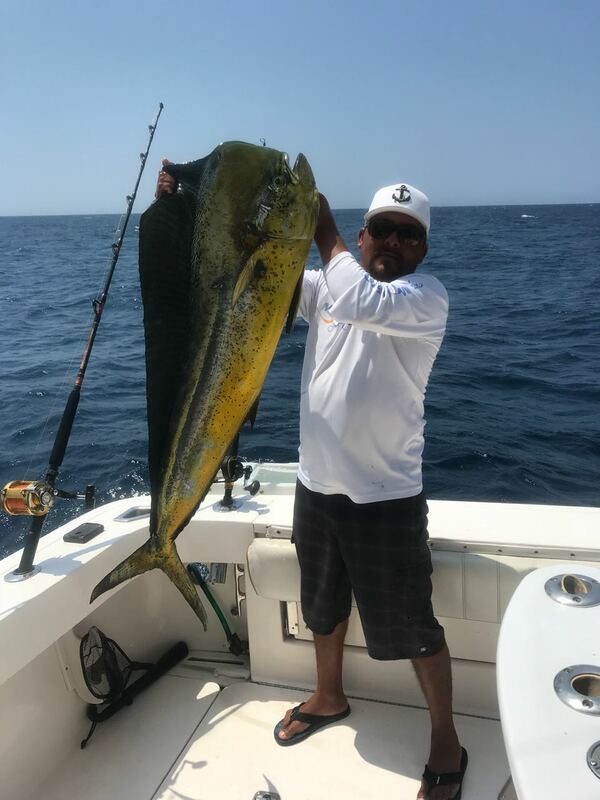 The crew on the boat will take you out and show you the best places to put your line in the water to increase your chances of reeling in a big one. 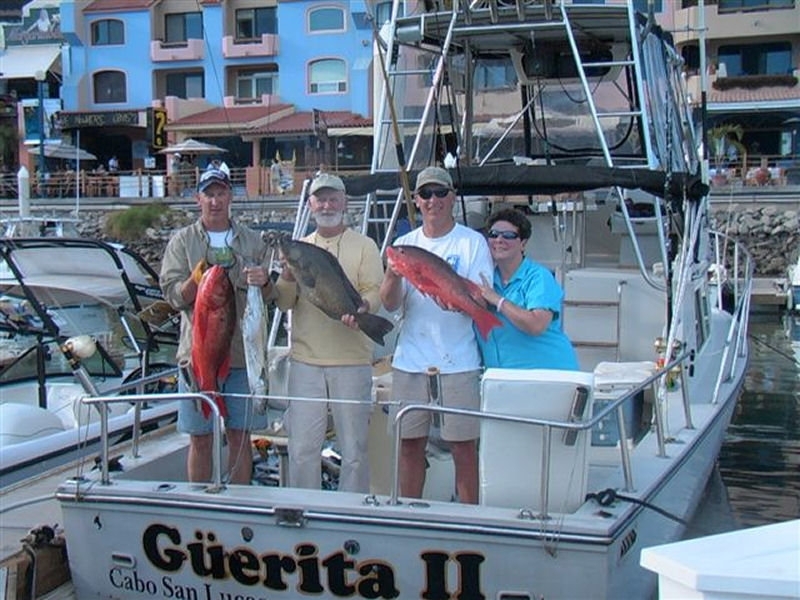 Just check out below some of the gigantic fish clients have pulled out of the waters surrounding Cabo San Lucas. 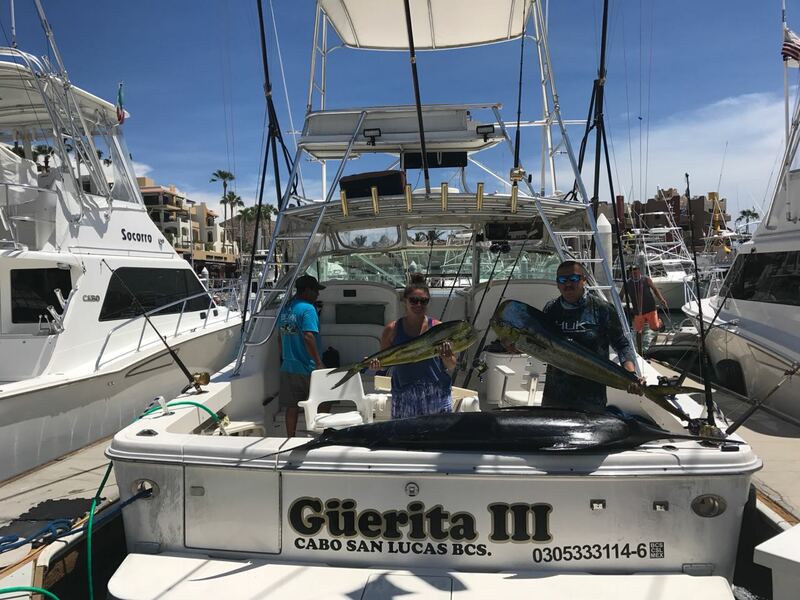 If fishing isn’t really your thing, don’t let that stop you from reserving a different type of charter through Guerita Sportfishing. 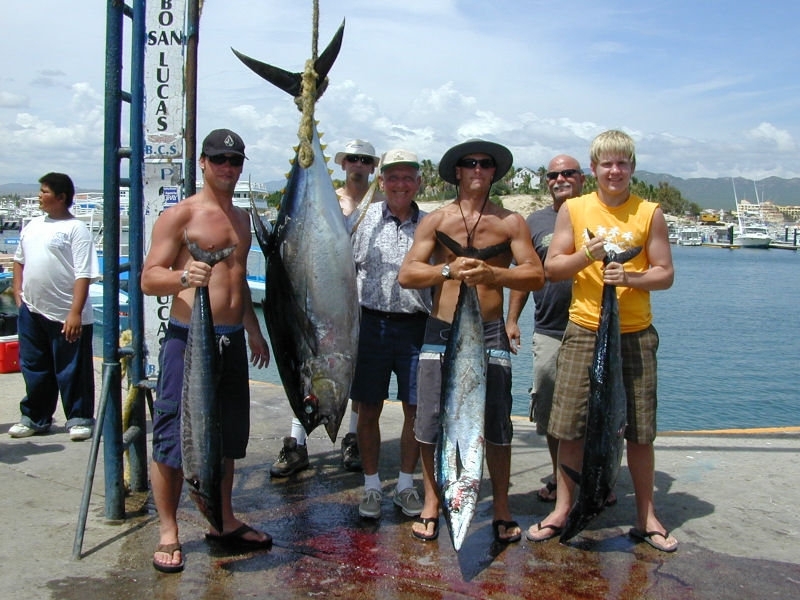 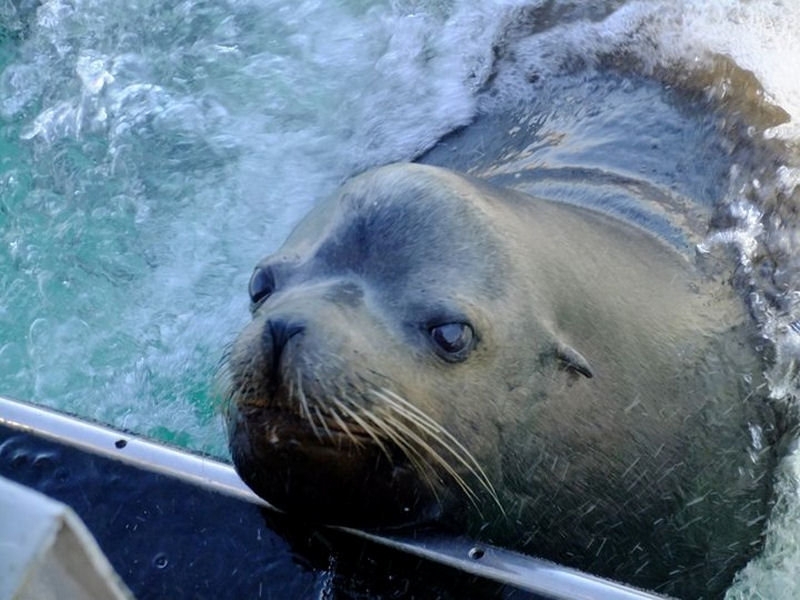 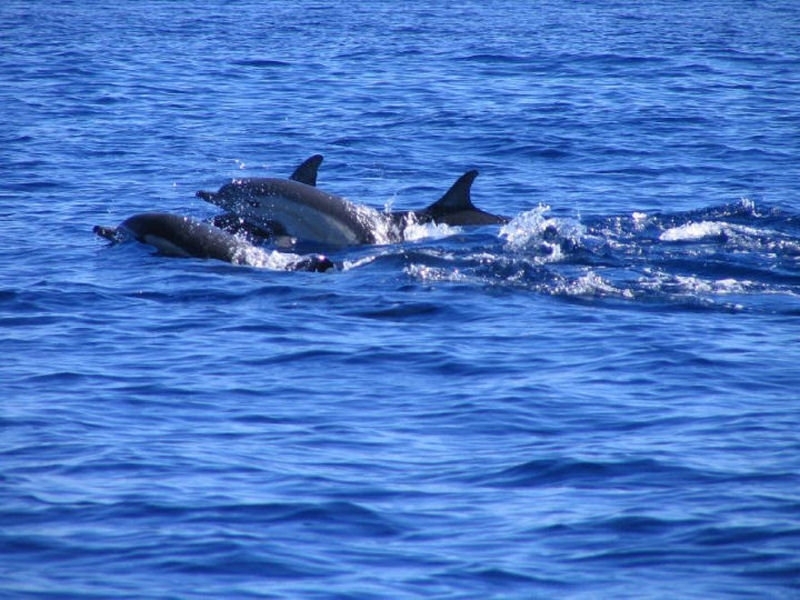 You can also go on a sight seeing cruise or a whale watching cruise and many couples prefer to go on a sunset cruise. 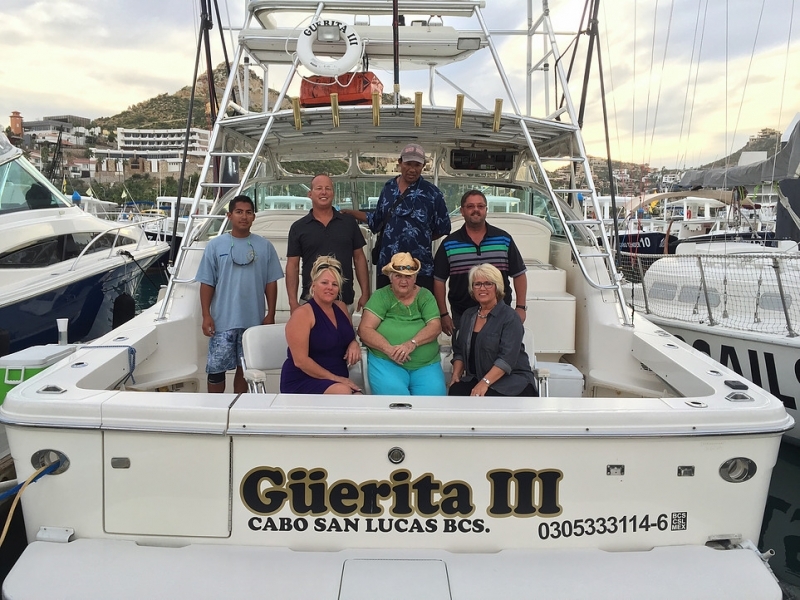 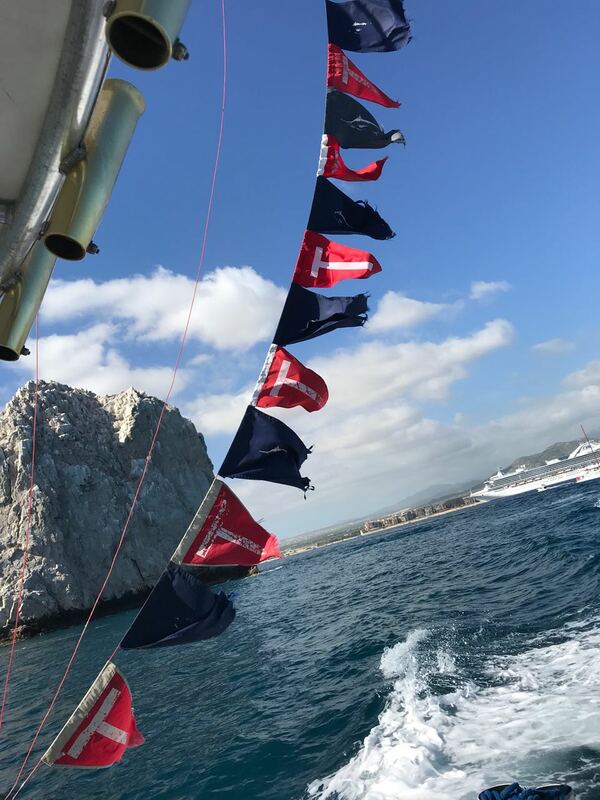 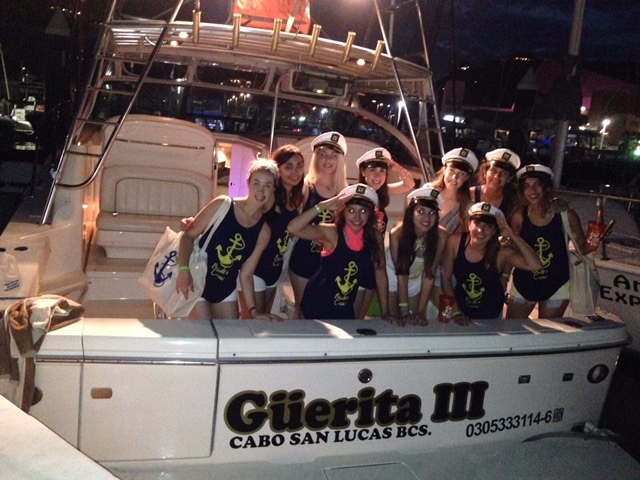 No matter which option you pick, you’ll have an exciting time and see Cabo San Lucas from a whole new perspective aboard our luxurious charter boat, Guerita III. 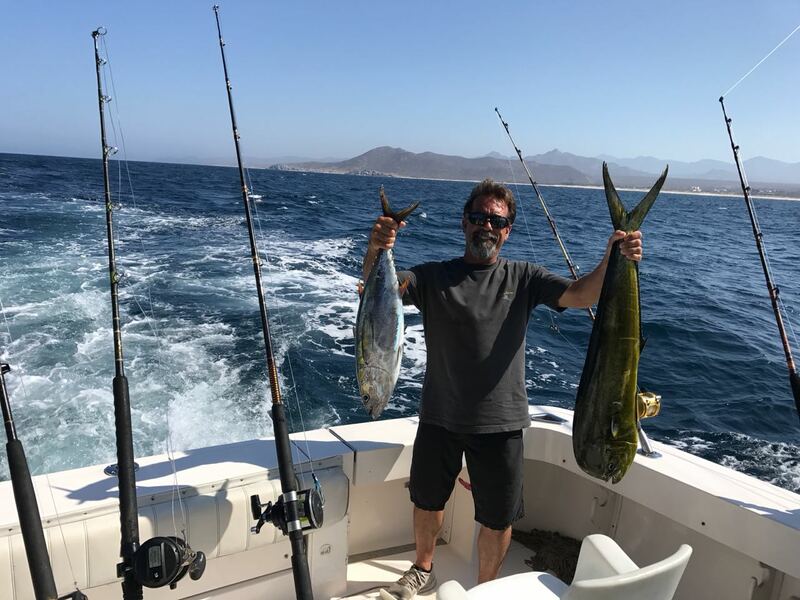 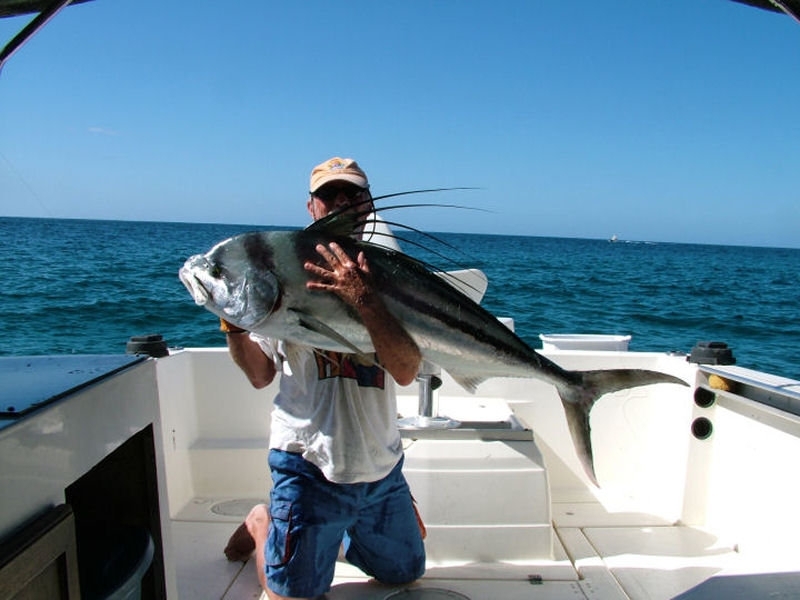 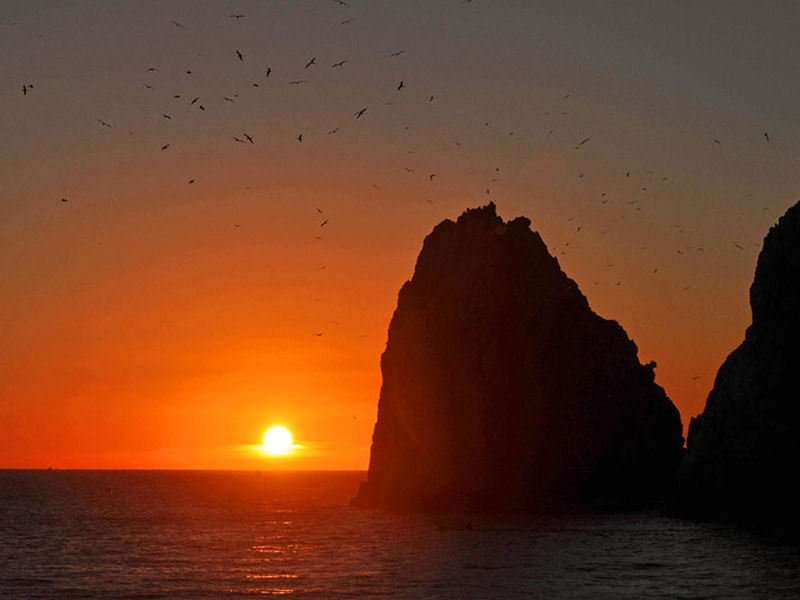 When are the best times to take a fishing trip to Cabo San Lucas?